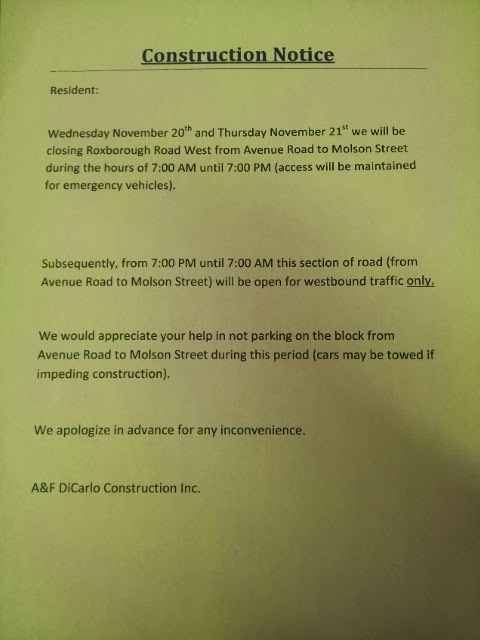 Construction Notice for Roxborough Street! ~ The Toronto Hare Krishna Temple! Construction Notice for Roxborough Street! A heads up to everyone! Roxborough will be closed for certain times over the next two days! Please plan accordingly!